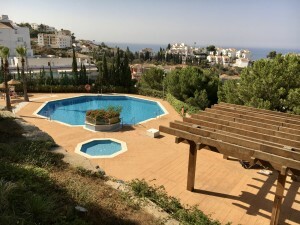 Fantastic property for sale in Oria, Almería. The house has two storeys, they were formerly two houses, today they are fully renovated. On the ground floor we find a spacious lounge with fireplace, a kitchen with another living room with fireplace, a bathroom, a bedroom and a cave room, very unusual and a charming feature. On the first floor we find three bedrooms, a bathroom in suite, a spacious and bright living room and a beautiful terrace where you can enjoy the fantastic views of the surrounding area. 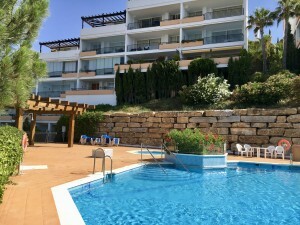 At the front of the property we find a large terrace with tiles that also offers beautiful views. There is also a double garage. This home has many possibilities, could be used as a large family home or could be divided in two properties and be used as a B & B. The house has central heating throughout and all the mains are connected. This attractive and traditional farmhouse is located in a popular village to 10 minutes away from the market town of Albox, where you can find everything you need. 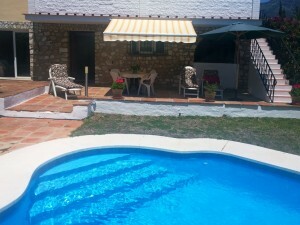 Visits are recommended for this great country house in Albox.